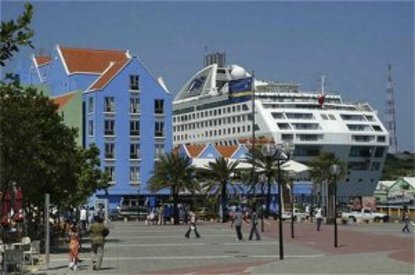 The Otrobanda Hotel is ideally located in the heart of Willemstad, Curacao's world famous shopping and business centre and inclusive of its free shops and historic sights. All 45 rooms have a fabulous view over the Saint Ann Harbour and the well-known Pontoon Bridge, the Swinging Old Lady, the typically Dutch facade of the Handelskade. All offer queen-size beds, air conditioning, telephone, cable television, radio, private shower and bath. As our guest you will be able to partake in much more than the pleasant and attractive amenities of a new hotel. After breakfast in the sunny Awasa Coffeeshop and Terrace, step out of the front door of the hotel and into the mainstream of Curacao's shopping centre. Here you will discover a multitude of stores with goods from all over the world.